11th September 1982 – Watford 3-0 WBA. 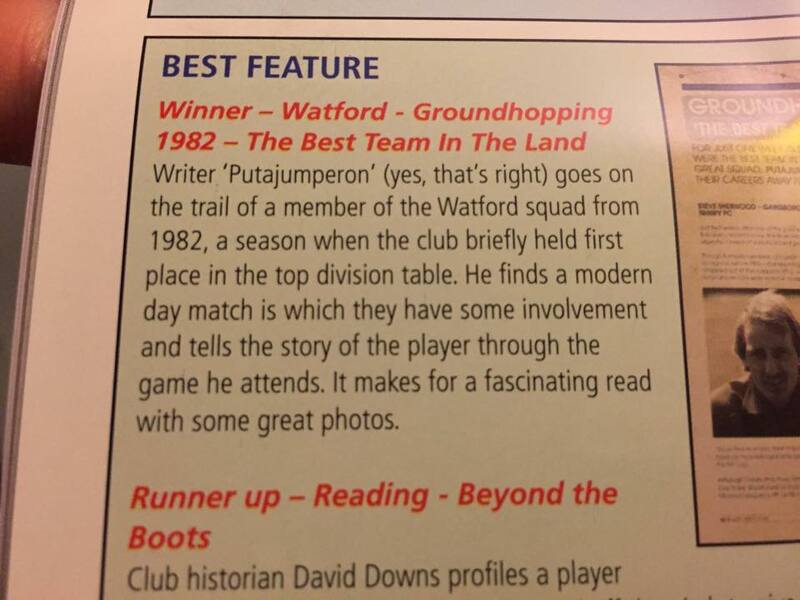 For the subsequent seven days, Watford FC really were The Best team in the land. Rule(s) – For each member of the 1982-83 squad – players, backroom staff and chairman – the hopper MUST see one of his other teams play, and top it all with a concert. Preferably this should be done without seeing any teams twice. 1. Environmental Issue. Any midweek game incurring a petrol-guzzling journey of more that 4hrs (round trip) may be deemed too long to complete without upsetting the environment, work, or the family. In such instances an alternative fixture, or a closer option should be chosen, but the hopper must still try to avoid too much Ground/Team Repetition (GTR*). 2. Social Issue. Any risk of crowd trouble or hospitalisation (eg. local rivals) can amend the above rule although a local derby or two might be nice. Once again the hopper must always try to avoid too much GTR. 3. Moral Issue. How to avoid the few teams one isn’t so keen on… An alternative game may be preferable.